The Delaware Water Gap National Recreation Area (DWGNRA) encompasses 40 miles of the Middle Delaware National Scenic and Recreational River in the Pocono Mountains’ Pike and Monroe Counties.The park includes nearly 70,000 acres of mountains, valleys and floodplains interspersed with breathtaking waterfalls, scenic hiking trails, picnic areas and clean river beaches. There are endless ways to enjoy a day in the DWGNRA. 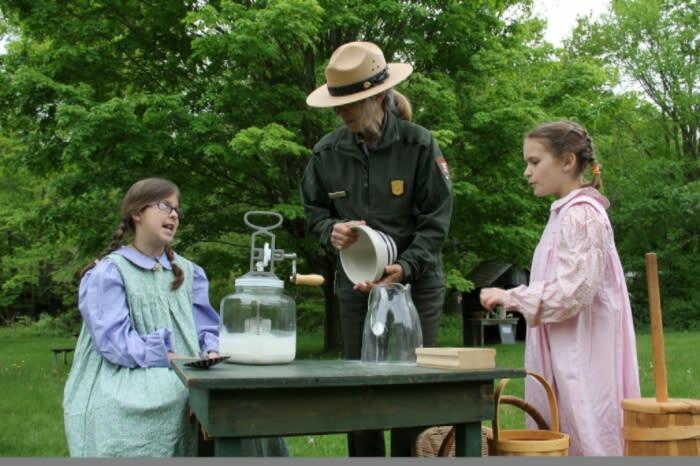 Browse the photos below for activity ideas and be sure to plan a visit for National Park Week, April 16-24, 2016. 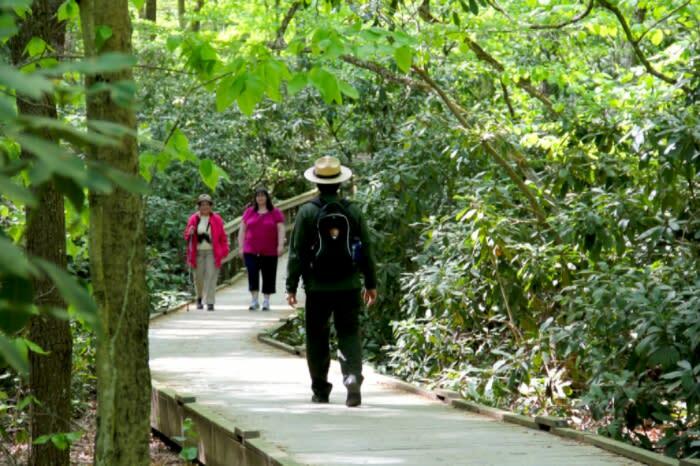 Nearly 100 miles of hiking trails wind through the DWGNRA, including over 27 miles of the Appalachian Trail. Trails range from flat boardwalks to rocky footpaths and challenging 1,000-foot slopes. 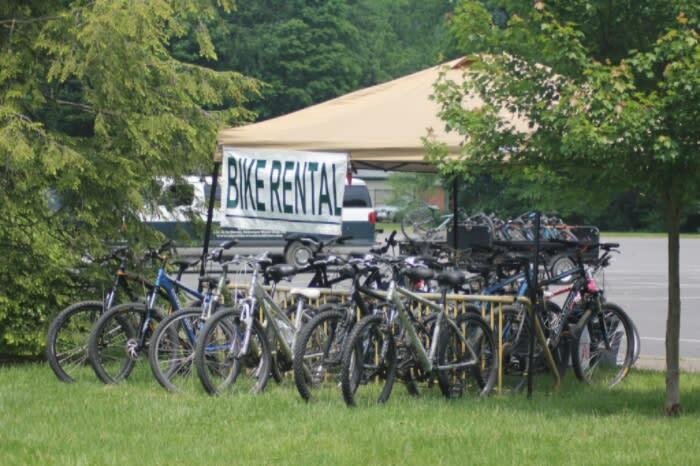 Biking is a top activity on the McDade Recreational Trail, which extends over 30 miles through the DWGNRA. The trail provides views of the Delaware River as well as streams, fields, forests and historic sites. Numerous waterfalls can be found along the trails in the DWGNRA. 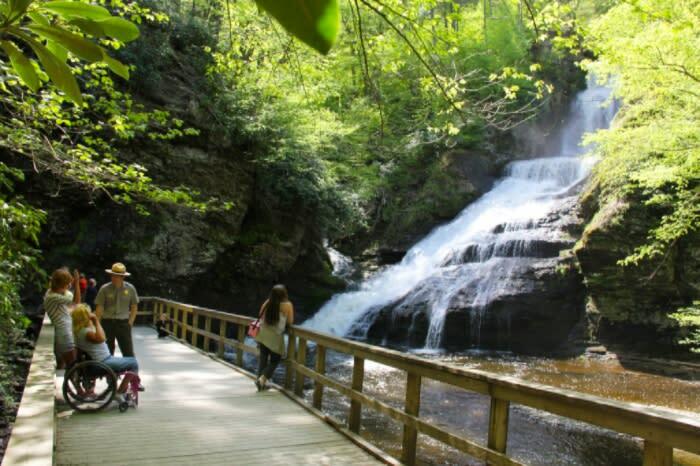 Dingmans Falls and Raymondskill Falls are the two tallest waterfalls in the state of Pennsylvania. For the 40 miles it winds through the DWGNRA, the Delaware River moves relatively slowly. Access points every eight to ten miles allow for leisurely day trips on the water. 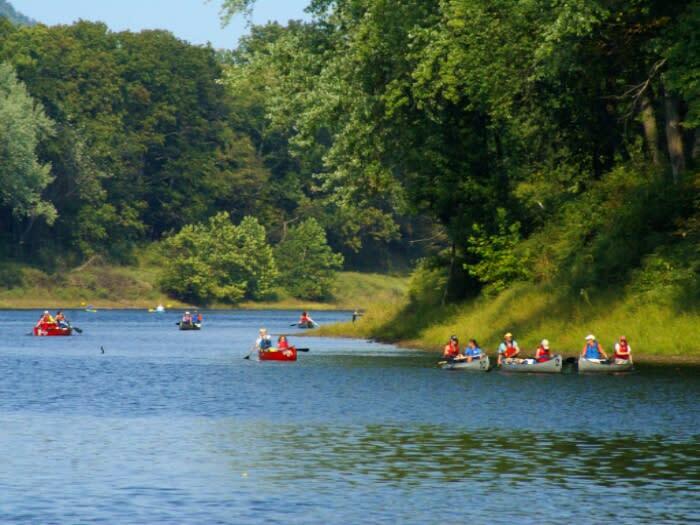 Canoeing, kayaking, rafting and tubing trips are all offered through local liveries. 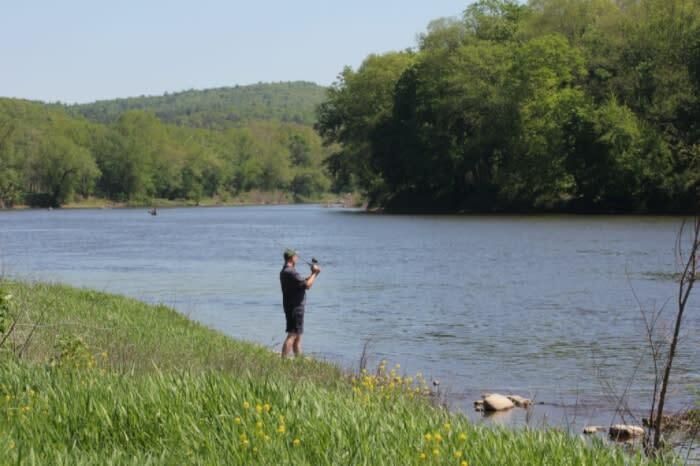 Fishing (license required) is permitted in the Delaware River, as well as streams, lakes and ponds throughout the park. In the river, you’ll find American shad, smallmouth bass, walleye, eel, catfish and muskellunge. The DWGNRA is home to an abundance of wildlife including white-tailed deer, beaver, black bear and river otter. 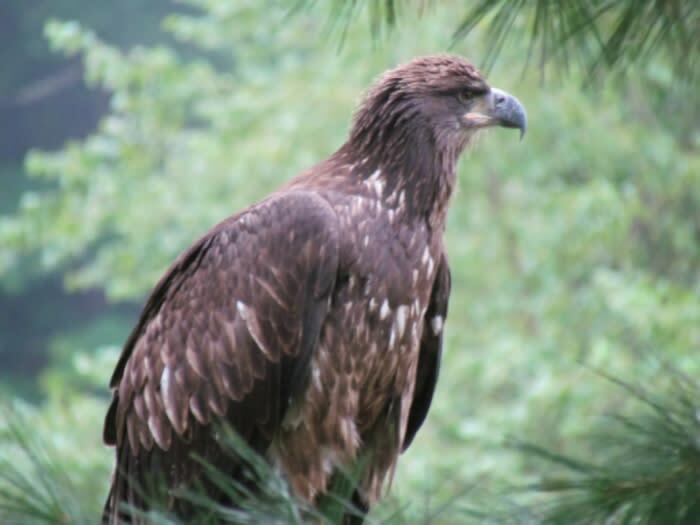 The river is a top spot for bald eagle viewing, which peaks annually in January and February. There are many historic sites throughout the DWGNRA, including former farms and settlements. Public programs, like those hosted by the Pocono Environmental Education Center, examine the nature and history of the area. Facts and photos courtesy of the Delaware Water Gap National Recreation Area. Find more park information and downloadable maps on PoconoMountains.com. The National Park Service turns 100 years old this year! To celebrate this major milestone, and National "Take a Walk in a Park" Day, we hit the trails in the DWGNRA. Watch the Snapchat story below for a look at what we did, and follow us (@PoconoTourism) on Snapchat for fun weekly stories from the Pocono Mountains.